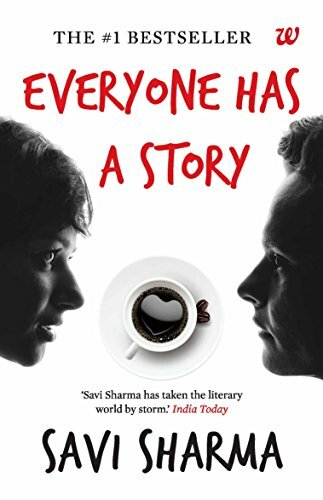 Savi Sharma, an Indian debut author, has penned an encouraging contemporary fiction in her book, Everyone Has A Story, that narrates the stories of four individual souls, each looking or waiting for their own story to begin somehow. As the four protagonists of this book cross the paths of each other, it results not only into something magical yet real but also into something heart-breaking and challenging at the same time. Meera, an emerging and a wannabe author, is waiting for that story to happen and change her life. She believes that this story will not only establish her as an author but will also change the hearts of her readers. Vivaan, an affluent banker, wants to escape from the ‘driven-by-money’ universe as well as his past baggage and want to travel the world. Kabir, the manager of Cafe Kabir, has his dreams to achieve and so do one of his cafe customers, Nisha. As the four characters get introduced to each others' lives, their lives do change for the better but they also have to struggle through various downfalls. The writing style of the author is emphatic as well as poignant as she laces her plot with deep, heart-felt emotions which will move the readers thoroughly. The narrative is enthralling yet inspiring and absolutely honest. The plot and the characters and their conversations are easy to comprehend. The pace of the book is fast and thus the readers will find themselves absorbed into the depth of the story in no time. The author has poured out her best emotions and has vividly captured each feeling with compassion. The bond of friendship is well developed by the author with realism, sagacity, trials through the genuine essence of its meaning, value and trust. The characters are extremely believable as their realistic demeanor with both flaws and good qualities project them as someone memorable and easy to embrace. The characters evolve throughout the story line, thereby motivating the readers to take a chance to achieve what they dream of and to be brave. In a nutshell, this story is not only a driving story encrypted with life's important lessons and intellect, but is highly entrancing yet heart-touching. The book is highly recommended to each and every one, who is looking for a way to believe in their dreams.